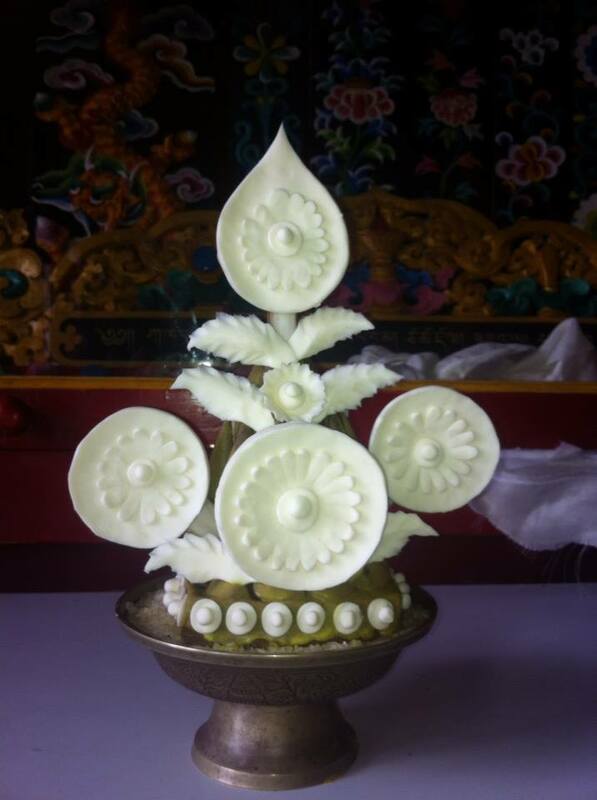 White ornaments made from butter decorate a ritual offering torma. Posted on October 15, 2014, in Prayer and Ritual, Uncategorized. Bookmark the permalink. Leave a comment.